This first aid guide to treating common ailments focuses on just 12 stones that cover a wide range of applications. The guide shows the reader how to identify the right stone for each ailment - the index lists more than 300 specific complaints, including those that occur frequently, such as: allergies, coughs, headaches, hormonal complaints, minor injuries, sunburn, stomach ache and toothache. This is your own home pharmacy in portable, pocket form. 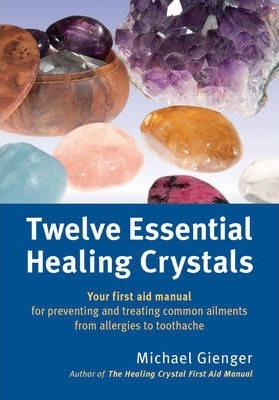 Divided into 12 chapters, one for each stone, the guide explains many illnesses and complaints in clear, concise, understandable language and suggests the appropriate stone for each ailment and how to use it. This practical, handy guide distills the essence of our current understanding of healing with gemstones. The 12 stones selected will help the reader maintain their health and heal both their body and mind.